an urgent review of sentencing for serious sexual and violent offenders. Consultation highlighted numerous weaknesses with the indeterminate sentence of Imprisonment for Public Protection. It has never worked as Parliament intended, creating instead a flawed system, which is not well understood by the public. We will conduct an urgent review with a view to replacing the current IPP regime with a much tougher determinate sentencing framework – which would be better understood by the public, and command greater confidence. Predictably, the potentially controversial decision to scrap this poisonous and indefensible system is offset by ‘tough’ promises to impose longer sentences for the most serious crimes (defined as serious sexual and violent offences), extending the point at which serious offenders become eligible for release on licence or parole, and so forth. Some serious offences, if repeated, are to attract automatic life sentences — because “the public like them”, according to the prime minister at his press conference to unveil the new policies. Life sentences, with their tariffs or minimum periods of imprisonment imposed by the sentencing judge, resemble IPPs in some respects; but there is clearly a place for such sentences in the judges’ armoury. The proposal to maintain the mandatory sentence of life imprisonment for murder, regardless of the circumstances of each individual case, is disappointing and retrograde, as are the other proposed new restrictions on judges’ discretion. Various new offences are to be created, on generally unconvincing and suspect grounds. That so many reformists invested so much in defending and championing a minor and uninspiring bureaucratic tweak to sentencing policy says much about the state of the current debate, and signals how much needs to change. There was a solid case for the proposed increase in the sentence discount up to 50%, but let’s remember that it’s a form of plea bargaining, liable to place the innocent who fear a likely conviction in an intolerable dilemma, and eroding the principle of a fair trial. Its demise falls some way short of tragedy, even though the motives for its destruction were patently disreputable, a compound of populism and timidity. Dr Marion Fitzgerald, of the School of Social Policy, Sociology &. Social Research. University of Kent, and specialist adviser to the Home Office Select Committee, speaking on the BBC television news channel on 21 June, welcomed many of the progressive features and aspirations of the Clarke policy document, even after its savaging by the cowards at No 10 Downing Street. Dr Fitzgerald even speculated that the 50% discount proposal might have been included with the intention of sacrificing it if necessary to the reactionary jackals so as to improve the chances of salvaging some of the document’s more significant reforms. Like several other liberal commentators, Dr Fitzgerald lamented the dismal failure of the Labour opposition leadership to give Clarke’s progressive proposals the sturdy and principled support they deserved. Instead, the shadow justice secretary and the Labour leader proved unable to rise above petty point-scoring, at one low point actually calling for the resignation or dismissal of Ken Clarke. So much for Ed Miliband’s inspiring promise, in his speech after being elected party leader, to acknowledge the shortcomings in New Labour’s record on civil rights and to chart a new course in this area under his leadership. Can he really be so intimidated by yesterday’s men such as Messrs Blunkett, Straw and Reid, with their ancient shabby records to defend? But let us accentuate the positive, for once, even if Labour’s front bench can’t see it (and Mr Cameron presumably hasn’t noticed it). Indeterminate Sentences for Public Protection have inflicted, still inflict, massive injustice, hardship and suffering on many thousands of people, including men and women who have completed their punishment but are kept indefinitely in prison in preventive detention, not knowing when or even whether they will ever be released; tortured by Kafkaesque conditions for possible release which can never be satisfied, frustrated by gross and inhumane maladministration of the whole system by officials who are pathologically risk-averse, more concerned to safeguard their own reputations for prudence than to act fairly and humanely in the name of justice. The torment inflicted by this nightmarish régime on the partners, wives and husbands, children and lovers of the victims of IPPs is almost impossible to imagine. Now at last it is to be swept away. Many questions remain to be answered: what is to be the fate of those currently incarcerated under IPPs? will the parole boards be instructed to apply completely new criteria in considering applications for release after the prisoner has served his or her tariff? will the onus for demonstrating that there is solid justification for refusing release be transferred to the parole boards, or will the prisoner still be required to prove that he won’t reoffend, an obvious logical impossibility? will prison governors be severely penalised if they fail to make available the courses which IPP prisoners are required to attend as a de facto condition for consideration for release? will judges be allowed to continue to impose wildly inappropriate IPPs for relatively minor offences, or for notionally serious offences even where there are manifestly extenuating circumstances? Let’s hope that all these questions will be discreetly answered in a spirit of reform and justice, preferably without arousing a fresh storm of irrational hysteria on the part of the hangers and floggers in the murkier reaches of the media and the reactionary elements in both the main political parties. Which reminds me: where were the LibDem coalitioners when an embattled Ken Clarke badly needed them? Nowhere to be seen; silent, invisible. Amid the wreckage of an enlightened justice secretary’s aspirations for radical reform of a seriously defective penal system, it’s just possible to discern at least one flickering flame of hope. IPPs are to be a thing of the past. As Mrs Thatcher would probably not have said, Rejoice! Hear, hear, Brian! Welcome news indeed. We must keep up the pressure on MPs etc though. I have today written to mine to ask what is happening to the proposed changes to the risk test, so that the Parole Board will need to demonstrate there is a risk from the offender to justify keeping him in prison, rather than as it is now, where the prisoner has to demonstrate himself he is no longer a risk. I have a letter on file from Mr Blunt dated February 2011, to say this was definitely a proposal, but have so far, seen no mention of it. I suppose the answer will be ‘it will be in the autumn review’. About the courses, in the Government response to ‘Breaking the Cycle’, page 12, para 33, it says, ‘we are also reforming the arrangements that central government has in place for assessing the performance of Probation Trusts and Prisons, so that they are measured according to the outcomes of reducing reoffending, rather than by inputs and processes (such as how many offenders undertake particular programmes or courses).’ This could prevent this merry-go-round where psychologists have obviously been under pressure for Brownie points to recommend courses, which are oversubscribed, miles away from prisoners families, and are not suitable anyhow, – as well as save a lot of money. Brian writes: Thank you for this, Patricia. I’m sure you’re right to keep reminding your MP of the pressing need to get rid of this scandalous system and to secure the earliest possible release of your son, urging him (or her) to give the Justice Secretary strong support for his plan to end IPPs. I’m less sure about the advisability of stirring up controversy at the national level on this issue, with the risk of activating opposition to abolition now that that is firmly on the agenda. Good luck and don’t on any account give up. The Labour leadership missed a very serious opportunity here. They could have gone on to genuine Lib Dem territory here to endorse what Ken Clarke was doing by putting another wedge between the Tories and the Lib Dems, to skewer Cameron for his cravenness in not defending Ken Clarke before the tabloids and his willing ends but not means by stopping a real reform with the prospect of cutting down the cost of imprisonment and to take a step towards Labour having a less primitive penal policy . However Miliband chose populism and I’m afraid I do come back to the point I made in commenting on the Ken Clarke’s ‘original sin’ that I can’t see Miliband as being fit to lead a government because he does not seem mature to me. Indeed I would add that he seems to lack the political instincts to combine a high moral stance with low political interests – perhaps he’s too well brought up to display low animal cunning (except in thwarting his brother). Brian writes: Thank you for this. I very much agree with most of what you say. I cling to the hope that Ed Miliband’s huge blunder over this will turn out to have been an aberration, and out of character. But I agree that this remains to be demonstrated and that the omens are not good. From now on he’s very much on probation (to use an appropriate metaphor). Most of those who know him well still seem to have a high opinion of his qualities. Let’s not give up on him yet. Meanwhile a more balanced view of the Clarke reform paper, and of the positive elements which have survived David Cameron’s crude mauling, is perhaps beginning to develop in the more thoughtful areas of the MSM: see for example Danny Kroger in today’s FT, at http://on.ft.com/lMcKzS. I diagree with him about both deterrence (which seems to me a legitimate and indeed necessary element in ‘punishment’) and retribution (which seems to me neither legitimate nor necessary), but he’s very good and perceptive on IPPs. i hope mr barder they do something for these poor prisoners that are years post tariff, my son is nearly 2 years now and he’s done all his courses, we’re still waiting to hear about a parole date , everything is so long winded, they havn’t got a clue how long he has to wait for a date, it’s so damn frustrating so God knows how these prisoners feel, my heart goes out to everyone who is going through it as well. Brian writes: Thank you for this. Yes, I hope so too: the frustration and uncertainty are cruel. It seems unlikely that the existing system can go on operating exactly as it has in the past when it has been officially condemned as a failure. But I’m afraid it will probably take time for the criteria for release to be changed and if it’s done too quickly and with too much fanfare, it will risk stirring up another storm in the tabloids which could easily scare the government off again. Gentle but persistent pressure on individual MPs is probably the best way forward at the moment. I contacted you before Brian and told you about my brother who was given a 14 week tariff in April 2007, I haven’t contacted you for a while but i have received your e-mails, and Thank-You. My brother is still in prison surprise surprise !. He has completed 2 courses and has a to sit and listen to some horrendous stories from serious offenders, he has serious doubts about the capbilities and qualifications of the people leading these courses. After completing his second course he asked how many courses he would have to complete before he would be released, all he received was a shrug of the shouldres. When he pressed and said no matter how many hoops we jump through no one will sign off on us will they his answer was another shrug. My brother is refusing to attend anymore courses and is just serving time like a lifer. When my brother was in court his solicitor told him to plead guilty because it was a minor charge he would not get long. The first my brother heard about an IPP was after the judge had said 14 weeks ( my parents at this time were very relieved) he then said IPP. His solicitor had to explain what one was AFTER he had received his sentencing. We are still being told to respect the law, and that is very hard to do. Hi everyone who has a family member on IPP. Please contact Norah Weedon via facebook to get your template letters to your MP and House of Lords. She has not had much of a response and if we dont do anything about it we will lose our fight against IPP’s. Its no point just sitting there and complaining, do something about it and get this message out to all others. We need as many letters sent as possible. Come on guys wake up and do something NOW OR NEVER. Thank you. Brian writes: Thank you for this. It’s not for me to discourage campaigners against IPPs (who certainly include myself) from acting as you suggest, but I think this is a very bad time to try to stir this particular pot. The Justice Secretary, Kenneth Clarke, is committed to abolishing IPPs but he knows better than any of us when will be the right time and context to do it, with the best possible hope of getting approval for, or at least acquiescence in, abolition from the prime minister, the home secretary (Theresa May), the Conservative party in parliament and the country, and the right-wing tabloids. At the moment Mr Clarke and Mrs May are involved in a very public dispute over the so-called cat-flap, in which the prime minister has inexplicably taken the side of Mrs May against Mr Clarke, and as a result of the riots and continuing demonstrations against the cuts, including strikes, there is a strong backlash in the political centre-right and far right in favour of a “strong” penal policy and against liberal reforms. If Ken Clarke were to come forward now with a proposal to take action to end IPPs, I have very little doubt that it would be shot down in flames within a few days, probably along with Clarke’s own career in government. 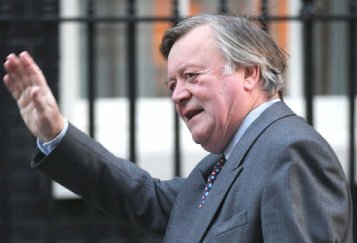 Since the only hope of ending or even reforming IPPs now rests with Kenneth Clarke and no-one else (even the Labour front bench is hopeless on this), it seems to me vital to avoid trying to second-guess him on the timing. Even trying to drum up support for abolition in parliament at a time like this risks drawing renewed attention to the issue with potentially disastrous consequences. “Now or never” is therefore in my view the opposite of good advice: ‘now’ may well mean ‘never’. It’s hard to ask the victims of this vile system to be patient after our hopes have been raised so high, but in politics timing is all and ‘now’ may well be the worst possible time to achieve what we want. I am putting a version of this on Facebook.